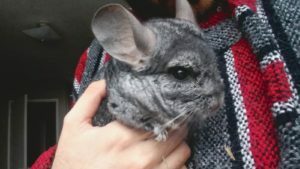 As mentioned previously, although Chinchillas are very affectionate, I feel like we haven’t fully bonded with Gary. He still gets startled whenever we try to pick him up, although I will also admit that he seems to slowly be getting more used to us. I’ve been trying to make sure to take some time to sit next to Gary and talk to him whenever I am home from work and it seems like it’s working a bit of magic for us. Since Gary is closed off in his own room (my partner’s office) it’s easy for him to tell that someone is coming since we have to open a door. 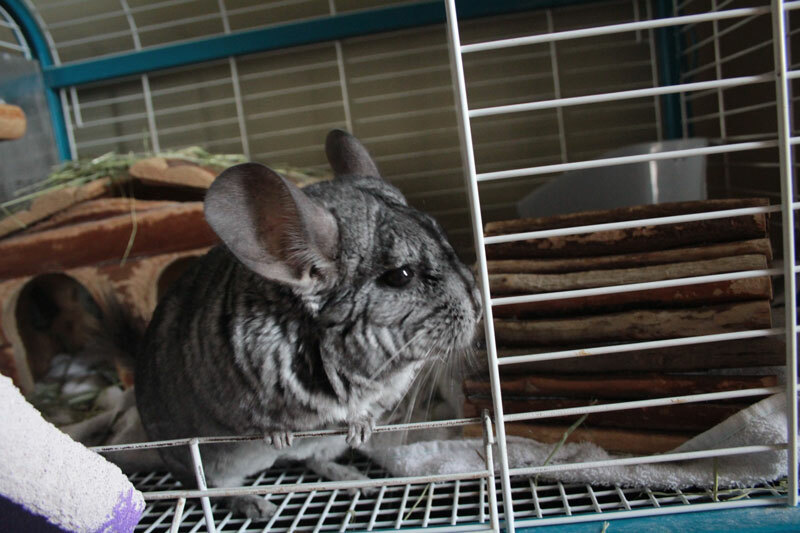 The main change I’ve noticed is that Gary now jumps to the front of his cage everytime he hear the door open. He then pushes his cute little face against the bars of the cage as if he’s asking us to pet him. So, I’ve been making sure to give him head scratches every time I enter the room, even if it’s just to grab an extra pen or paper. Gary is still picky about how much he gets pet and where he gets pet. I’ve noticed he really likes his ears and forhead scratched, but anything lower than that he’s not a fan of. 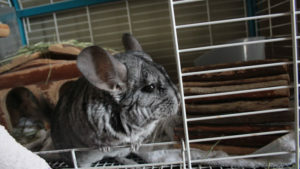 As soon as you try petting any other part of his body he starts screaming and runs around the cage! As long as we’re making progress slowly, I’m happy! I don’t need him to want to be held all of the time, I just want him to know that we love him. On the flip side, it seems like Gary isn’t bonding as well with my partner, which I find very odd. My partner spends at least 3-6 hours in the office every day and he’s the primary food service dude for Gary. He also gives Gary treats, but Gary won’t let him pet him or pick him up. Odd, eh? I may be crazy, but it may just be because my partner doesn’t talk to Gary and I’ve taken more chances at petting him/picking him up. Hmmm…. who knows! If anyone has advice, let me know! Winter break is coming so quickly and I’m going to want to spend a lot of time with this adorable puffball! We’ve noticed that Mamo prefer spending time with ladies and didn’t like spending as much time with male friends when they drop by to play with him. 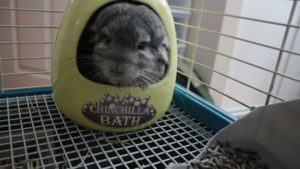 I think most chinchillas get attached easier to the caregiver of opposite gender. 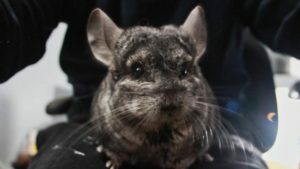 However, they are unique creatures with individual traits and personalities, so it might be just Gary being Gary!